The Burgundy region in France has some of the most beautiful vistas in Europe. One of the best ways to see it is by bike. 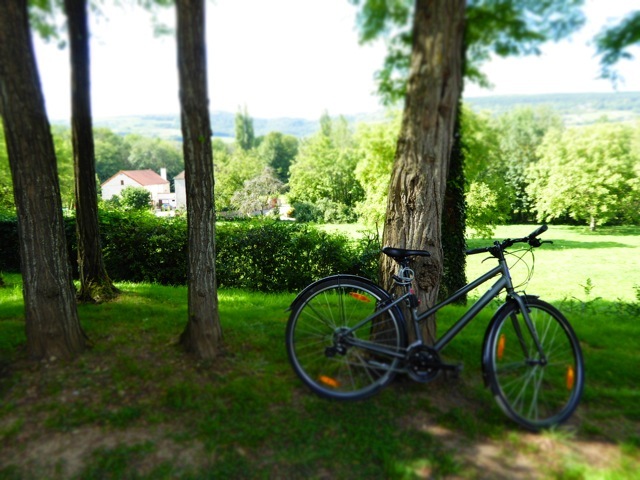 There are two types of bike routes for cyclists in France: a véloroute is a road shared with motorized vehicles while a voie verte is a greenway that accommodates all non-motorized means of transport including pedestrians, cyclists, and rollerbladers. Bicycles can be rented for a reasonable price at the tourism office in many towns across the region. 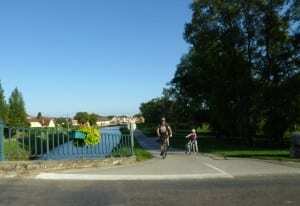 One of the many bike routes in the area just so happens to begin in Beaune, the wine capital of the Burgundy. From there you can travel on the véloroute known as La Voie des Vignes (The Vineyard Way), a 13 mile (22 km) ride through the heart of the Burgundy vineyards. This route passes through the charming village of Meursault where you can stop for a wine tasting and lunch or visit the local charcuteries and boulangeries and purchase a picnic lunch to eat along the way. 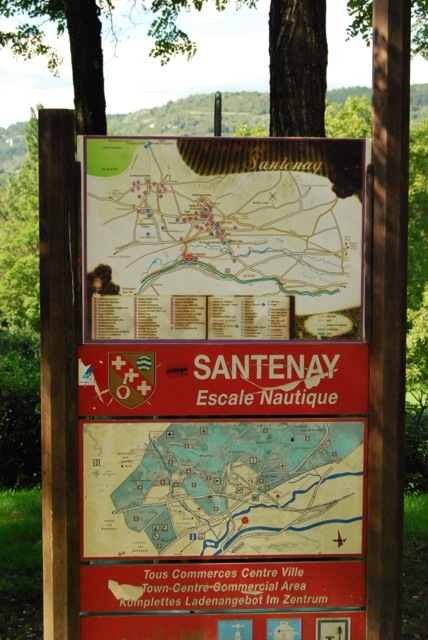 The route ends at Santenay—another wine village—where you can continue on the more relaxing voie verte for another 8 miles (13.5 km) to the small town of Nolay. The La Voie des Vignes bikeway is slightly hilly as it runs along the slopes of the vineyards but is not overly challenging. The voie verde route is perfect for inexperienced cyclists and families because there are minimal cars to navigate (you will cross a few bridge roadways) so it is a relatively stress-free ride. We started out from the town of Chagny where we rented bicycles for 10 euros a day at the tourism office. The greenway was an easy ten minute ride from there along residential roads but be sure to get a map as the roads are not always marked clearly. Once an old railway track, this trail runs along side a picturesque canal with views of farms, chateaus and vineyards that make you feel like you are inside an Impressionist’s landscape painting. The route stretches from the town of Nolay all the way to Givry and new bikeway paths are currently in the works to expand the route even further from both destinations. There are lots of signs to tell you where you are along the way with benches and water fountains to rest and rehydrate. 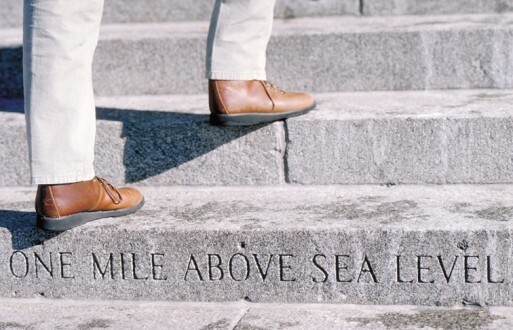 TIP: This trail can also accommodate people with physical disabilities because it is relatively flat and has no stairways. Although the trail is relatively short – only eight miles between Chagny and Nolay – you could easily turn it into an all day excursion if you traveled the length of the trail and back including lunch and sightseeing in the nearby villages. Plan to stop in the larger towns of Chagny, Santenay or Nolay as they will be the closest to the trail. There are signs to direct travelers to veer off the trail and visit the many vineyards and towns along the way but be aware that these are located a few miles off the trail on roads with no shoulders and regular traffic. Although these roads are not part of the véroute and are not heavily traveled, it may be dangerous to use them when riding with younger children. After a long day of cycling, you can stop at the town of Santenay, which has several vineyard tasting rooms and restaurants. The Maison Lameloise hotel located in Chagny has a Michelin-starred restaurant of the same name but there are other notable restaurants in town that are easier on the wallet including Jean & Pierre and L’Arome. We dined at the rustic Le Grenier à Sel, which has a traditional French menu but also a children’s menu that does not include chicken nuggets! We ordered steak that was cooked by our server over a wood burning grill in an open concept kitchen. Eaten with a local Pinot Noir, this remarkably affordable meal was the best we had on our trip to France. Next Post: What Are the Benefits of Staying On Property at Disneyland?